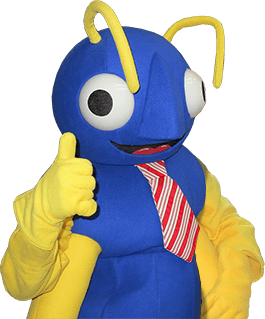 Big Blue Bug has been providing the most comprehensive pest control services to home and business owners in Westboro, Worcester and throughout Massachusetts, Rhode Island and Connecticut since 1935. Formerly known as New England Pest Control, Big Blue Bug Solutions is still New England’s leading pest control company, quickly and effectively getting rid of insects, rodents and nuisance birds at some of the most affordable rates. If pests have infested your home or business, contact the experts at Big Blue Bug and schedule an appointment today! By following these easy steps you will be well on your way to reducing indoor pest problems! If you have noticed any of these pests in or around your home, contact Big Blue Bug Solutions today! If pests are still in and around your business, contact Big Blue Bug Solutions and let the experts eliminate your pest problems today! For over 75 years, Big Blue Bug has been providing commercial pest control services to Westboro businesses, efficiently getting rid of termites, bed bugs, ants, cockroaches and many other common pests. Through the use of Integrated Pest Management (IPM) methods, our team of professionals focuses more on baiting and exclusion of pests instead of relying on chemicals and pesticides, customizing treatments for your specific pest control needs. You can trust in the experts at Big Blue Bug to solve any pest problem. If you are dealing with a pest infestation or you just want to be proactive in preventing future infestations, contact Big Blue Bug in Westboro to schedule an appointment today!